What Makes Eating Disorders Amongst Men Different? Lack of Treatment. “I learned at a very early age that eating could take me away,” former model Ron Saxen admitted on Good Morning America. 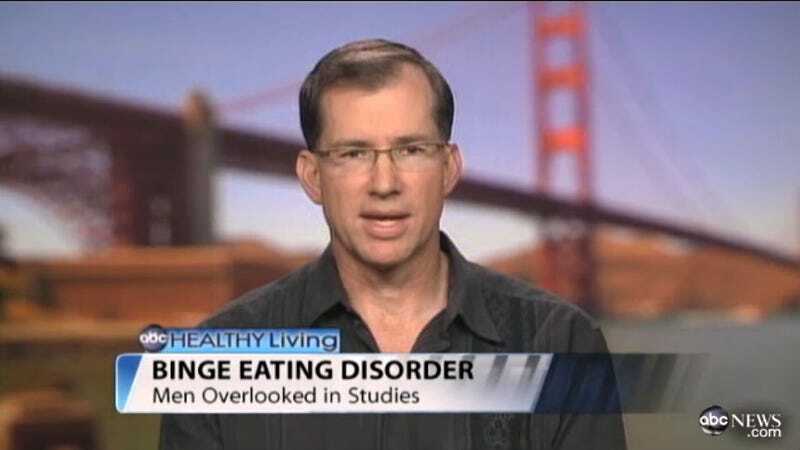 It might seem odd to hear that statement from a man, but that’s because eating disorders are gendered in our society. Doctors have a hard time recognizing them in male patients and when, say, a parent does realize their son is struggling with food, often the clinics fashioned to treat these types of illnesses are for women and girls. Mary, a parent who struggled with her own son's eating disorder learned that the hard way. Mary, who for privacy reasons, did not want to use their real names, said the family had sought help from numerous doctors who did not recognize her son had an eating disorder –- one, who even suggested he had a heart ailment. “They basically shamed and scared him,” said Mary. But this gendered confusion only hurts the guys who are trying to fight anorexia, bulimia, binge-eating and other non-specific eating disorders, reports ABC News. According to a 2011 study in the International Journal of Eating Disorders, eating disorders affect 4 million Americans and another study says that one in four of those affected are men. They are under-diagnosed, so they’re under-treated and unable to participate in research trials so medical researchers can learn how to help them. It’s a big circle. "Families and health care providers need to realize this is a gender-neutral illness that affects all walks of life equally," says Dr. Evelyn Attia, director of the Eating Disorders Research Program at Columbia University Medical Center. "As such, early detection and treatment is key. There is no clear data of specific causes for eating disorders in men, thus the focus should be on early symptoms and behavior."